Home is pleased to announce we will be exhibiting painting by Melbourne-based artist Nicholas Ives in our ‘Melbourne Comes to Sydney’ show during Art Month. Nicholas explores within his work realms of the Absurd and the Carnivalesque through a primarily figurative form. His works flow across the borders of portraiture into abstract qualities, encouraging unexpected outcomes and collisions – encounters of the material surface and the imaginings of unknown painterly worlds. Pictured is If you’re lonely eat a sandwich, 2014, oil on linen. Nicholas Ives appears courtesy of Blackart Projects, Melbourne. 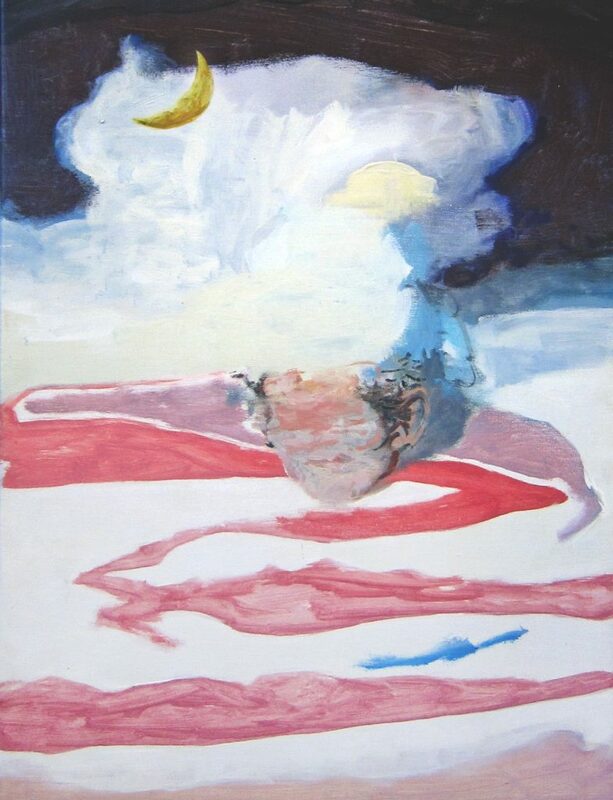 Nicholas Ives, If you’re lonely eat a sandwich, 2014, oil on linen.